December 18, 2012 - Southwest Airlines has agreed to settle the alcoholic drink coupons case (Adam J. Levitt V. Southwest Airlines Case: 1:11-cv-08176), the settlement is worth $29 million to Southwest Airlines Business Select customers who were give drink coupons and were not able to use them due to a company policy change. Back in November 2011 Adam Levitt a frequent flyer of Southwest Airlines had filed a class action lawsuit against the carrier for failing to honor his free alcoholic drink coupons because the coupons issued did not have a date on them. Levitt claimed an incentive for purchasing a premium-priced "Business Select" ticket was the alcoholic drink coupons. Southwest Airlines for a number of years, (October 2007) did not place an expiration date on the coupons. In August 2010, the carrier began putting an expiration date on the coupons and informed its customers it would no longer accept non dated coupons. The suite alleged Southwest had breached its contract with consumers when it said in August 2010 that it would no longer accept vouchers without a printed expiration date. The carrier disputes the claim that it breached its contract and has not violated any laws as a result in a change in its policy. The suite and settlement agreement does not include Southwest customers who obtained drink vouchers or drink coupons through the Southwest Rapid Rewards program or as a result of being a member of the Southwest Rapid Rewards program, unless those customers separately purchased, but did not redeem, Eligible Drink Vouchers through the purchase of a Business Select ticket or otherwise. On March 5, 2012, the Court denied Southwest’s motion to stay, and granted, in part, Southwest’s motion to dismiss, dismissing all claims with prejudice except for the breach of contract claim. This ruling made the prosecution of Plaintiffs’ claims against the Defendants significantly more challenging on the merits. 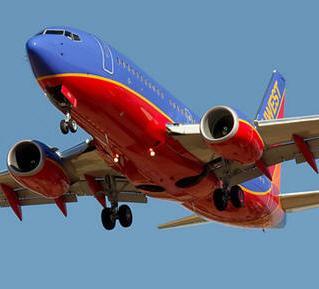 Plaintiffs also filed a Motion to Strike Southwest’s Affirmative Defenses on January 25, 2012. The Court granted Plaintiffs’ Motion to Strike all but one of Southwest’s affirmative defenses on January 31, 2012. After fact discovery was substantially completed, the Parties began discussing in earnest the possibility of settlement. After weeks of back and forth discussions between themselves, the Parties engaged in two full days of arm’s length and often spirited mediation sessions over the course of two weeks with the Mediator, Judge Wayne Anderson (Ret. ), in Chicago, Illinois. Judge Andersen is a former federal judge on the United States District Court for the Northern District of Illinois. In the court settlement agreement it stated “although both sides believe their respective positions in the action are meritorious, they have concluded that, due to the uncertainties and expense of protracted litigation, it is in the best interest of Plaintiffs, the putative settlement Class, and Southwest to resolve this action on the terms provided in the proposed Settlement Agreement”. Each Entitled Class Member1 shall receive one Replacement Voucher for each and every Eligible Drink Voucher an Entitled Class Member received prior to August 1, 2010, in connection with the purchase of a Business Select ticket or otherwise, that was not redeemed by the Entitled Class Member. There is no limit or cap on the number of Replacement Vouchers per Entitled Class Member. Thus, the Settlement allows Entitled Class to recover one hundred cents on the dollar, a complete and total recovery. And, the Eligible Vouchers are freely transferable. To become an Entitled Class Member, and, thus, to receive one or more Replacement Vouchers, the Class Member must submit a claim that is timely, and valid as determined by the Settlement Administrator. During that roughly three-year time period, Southwest sold 11.6 million Business Select tickets and, thus, 11.6 million Vouchers. Id. Although Southwest failed to track exactly how many of those Vouchers were redeemed, Southwest’s empirical and statistical modeling suggests that approximately half, or 50%, of the Vouchers were redeemed. Thus, as of August 1, 2010, approximately 5.8 million Vouchers had not been redeemed by Class Members. Each Voucher is valued at $5 the price of a premium or alcoholic beverage on a Southwest flight without a Voucher which means that the Settlement provides for not less than $29 million worth of direct benefits to the Settlement Class. Despite their best efforts, to date, the Parties have been unable to reach agreement on Attorneys’ Fees and Expenses. Plaintiffs will submit a motion supporting their request for attorneys’ fees pursuant to the Court’s Preliminary Approval Order. Importantly, the Attorneys’ Fees and Expenses will not be paid out of the Settlement Class benefits achieved by the Settlement, and will not dilute or reduce the Class benefits in any way. Rather, Fees and Expenses will be paid directly by Southwest, in addition to and separate from the Settlement Class benefits. If the Parties are ultimately unable to reach an agreement as to Attorneys’ Fees and Expenses, then the Parties respectfully request the Court decide that issue, after briefing by the Parties, subject to the following provisions: the Parties agree that Southwest shall pay Class Counsel no more than $7 million in fees (the “Ceiling”), but no less than $1.75 million in fees (the “Floor”), and will request the Court to order an Attorneys’ Fees and Expenses award that is either the Ceiling, the Floor, or somewhere in between (See Motion For Preliminary Approval Of Class Action Settlement).